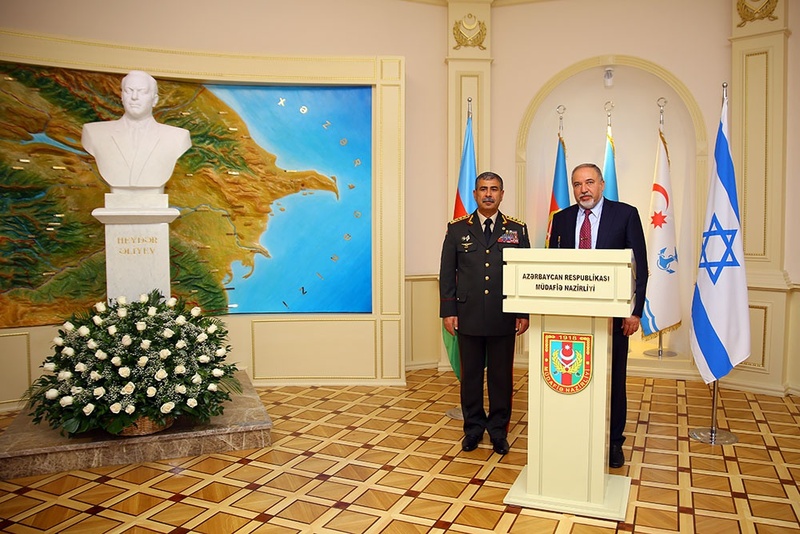 On September 13, the Minister of Defense of the Republic of Azerbaijan, Colonel-General Zakir Hasanov has met with the delegation led by Israeli Defense Minister Avigdor Lieberman. 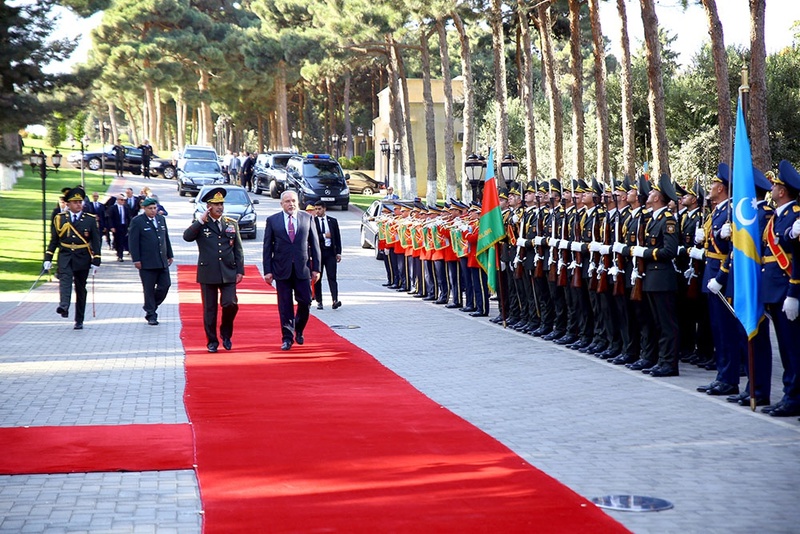 Before the meeting, the Israeli delegation visited the Alley of Honor, paid tribute and laid a wreath at the tomb of national leader Heydar Aliyev. The delegation also paid tribute and laid flowers at the grave of prominent ophthalmologist, academician Zarifa Aliyeva. The guests visited the Alley of Martyrs to commemorate Azerbaijani heroes who sacrificed their lives for the country's independence and territorial integrity, laid wreaths and flowers to their graves and the "Eternal Flame" monument. Then an official welcoming ceremony was held in the Ministry of Defense. Israeli Defense Minister has passed along the guard of honor, and national anthems of the two countries were performed. "Book of Honor" was signed following the protocol. Speaking about the high level of partnership between the two countries, Colonel General Z. Hasanov noted the vital role of this partnership not only in the development of our states but also in ensuring security in the entire region. During the meeting, the Azerbaijan Defense Minister brought to the attention of the guest that Armenia, as an aggressor country, supporting terrorism at the state level, creates the main threat to regional stability and is interested in escalation the situation on the line of contact of the troops. Highly appreciating the historical roots and ties between our peoples, A. Lieberman expressed his satisfaction with the current level of cooperation between the countries and especially emphasized the significance of such meetings in terms of expanding relations. Aspects of regional security, prospects for development of cooperation between Azerbaijan and Israel in the military, military-technical spheres, organization of working meetings and other issues of mutual interest were discussed at the meeting.